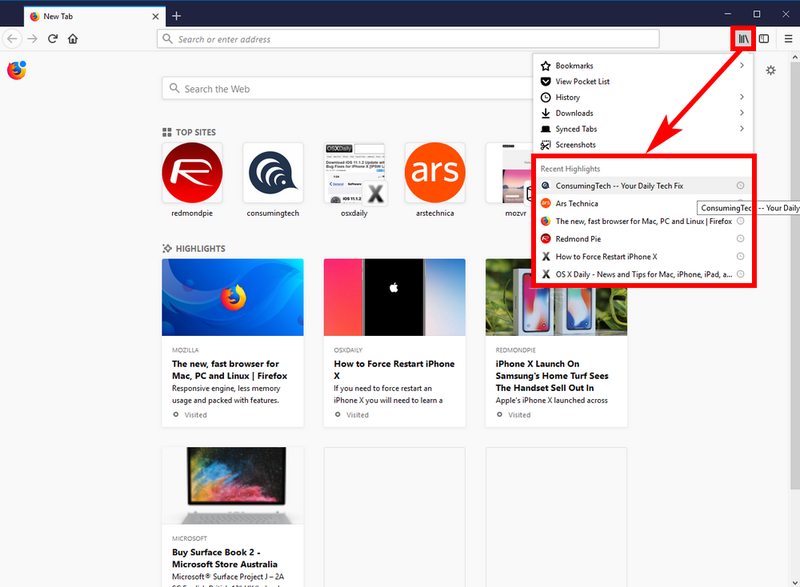 Firefox 57 has a new feature called “Highlights.” You’ll see the highlights when you open a new tab page and from within your library. The highlights are an original idea, unbeknownst to all web browsers to date. 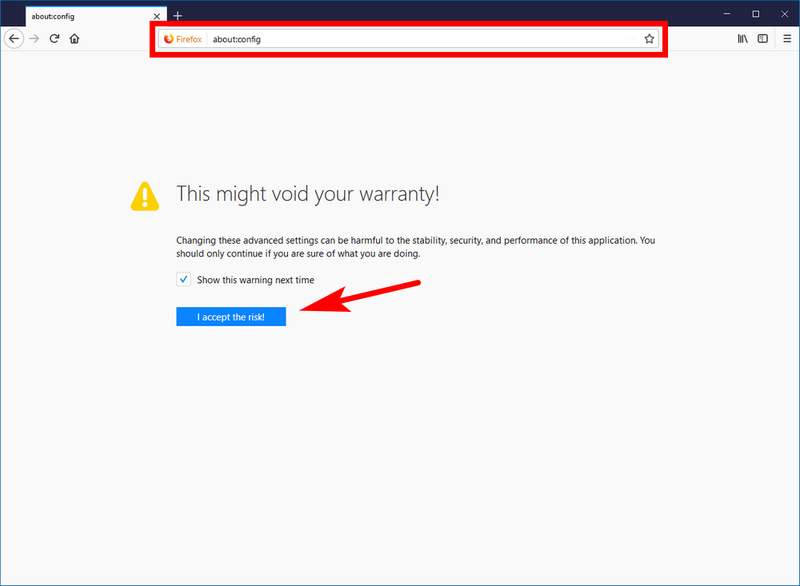 It’s similar to the Top sites feature that Mozilla has had in Firefox for a while now, but instead of showing the domain homepage it shows the webpages from domains that you have recently visited and the pages that it considers are the ones you are most likely to want to visit again. Apart from calling them “Highlights,” Mozilla doesn’t go into any more detail about the algorithm they use to determine what it thinks are, in fact, the pages that you would consider being the highlight material of your past and yet-to-be-cleared browsing experiences. There’s also the issue of privacy, where even if it is proving useful for people for finding stuff quickly again, some folk prefer not running the risk of other people seeing whatever that something on the webpage may have been. . . .
You can easily remove the highlights from the new tab page in Firefox 57 by using the Settings menu after opening the new tab. When wanting a solution for the library, however, things are not so simple. Due to the nature of highlights being things that you recently viewed and the fact that you need to click on the library icon from the browser before it shows anything listed in the library highlights, it seems as though Mozilla hasn’t predicted people wanting to have it removed anywhere near as commonly as they might have from the new tabs. And while that might be the case, there is still a way that you can remove the highlights from displaying within your library with just a bit more work on your behalf. Instead of there being buttons to play with, you need to start typing in stuff to navigate to where you want to go. 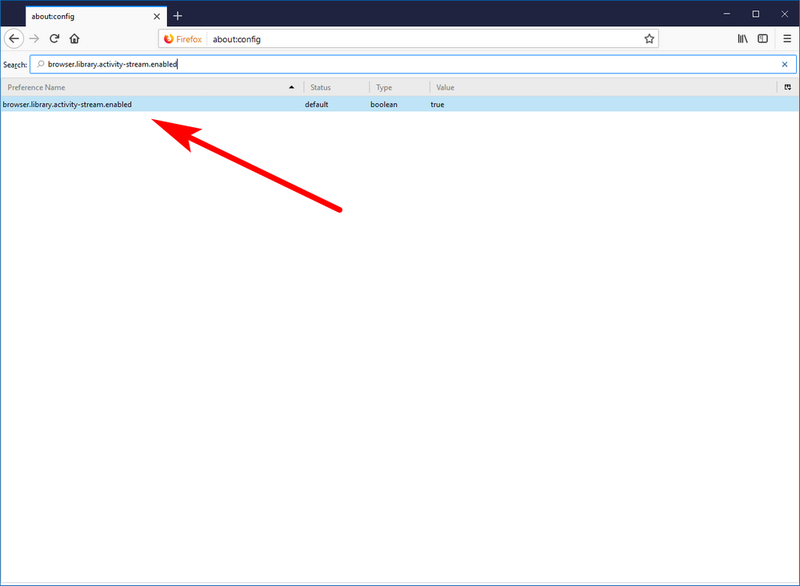 Now type “browser.library.activity-stream.enabled” into the search field located directly beneath the search field that you used in the step above and then hit the “Enter” key on your keyboard. 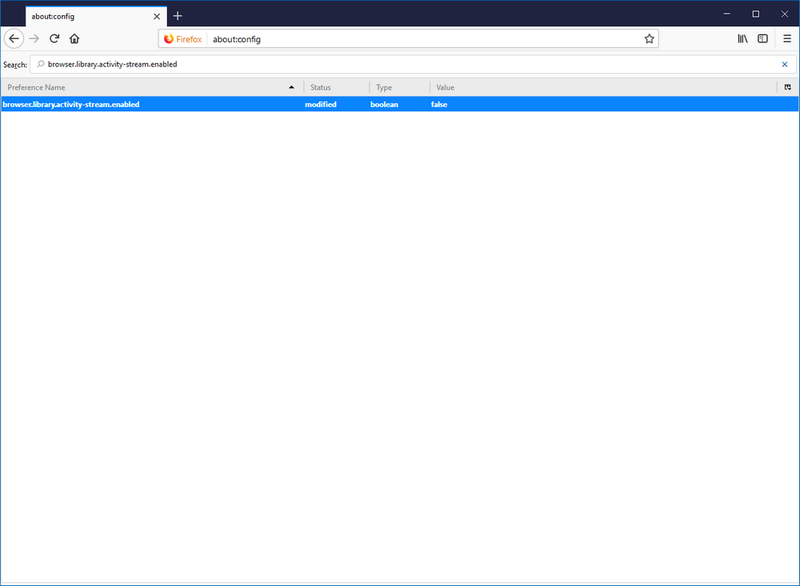 You can now instantly click on your library icons from the browser bar and the library highlights will be shown or removed per your selection. The recent Highlights section in the picture below is what will be added or removed. Don’t forget that there are two types of “highlights” in the Firefox 57 browser and this guide is only with reference to the library highlights. There are ways you can remove the highlights from new tab pages as well if you’re interested in doing that, too. Any idea on how to do this for firefox 57 android? The guide should work if you install that version of the app. The Quantum CSS is left out for the Android version for now but is expected to be introduced in Firefox 59 for Android. Some other features might also be on the way then.